First of all, a sweet reader (and new friend) sent me these earrings in the mail!!! I was NOT expecting it and SO excited!! Thank you, Kimm!! My kiddos are SO lucky to have these guys in their life! Ebby Lee went to Kensington's house on Monday so it was just me and the boys. Nixon asked for a snack, a show, and a pallet in the floor. Our pool is mostly shaded in our backyard which means it's COLD!!! It'll be fabulous when August rolls around and it's SCORCHING hot, but for now...it's a little chilly! These two don't seem to mind! And...what is Nix doing with his face? hahaha! Tennis camp these week has been so fun! When Ebby Lee was 2, I signed her up for dance class. She went with her friend, Kirby, and absolutely LOVED it! We decided to only do it a year and then switch to gymnastics. (Just because I wanted her to experience both and see what she liked more.) Gymnastics was WAY out of her comfort zone. But...we started so she did it for a year and half before we decided it was time to try something else. And...she learned SO much during that year and a half. Ebby Lee was READY to go back to dance. She was SO excited about doing ballet and tap she could hardly stand it. She's participating in a summer program and looking forward to starting "for real" in the fall. And...look how darling that little ballerina looks!! I LOVE my girlfriends!!! We had a girl's night out on Wednesday and it was a BLAST!!! Andrea drove us around in the mini (van, that is) AND it was so much fun!! My abs hurt the next day from laughing so much!! Yesterday, Kensington came over to play. The girls decided to swim (in the icy waters). Then they "laid out" (they actually said that...ha!) and had a snack. Bowen seriously thinks he is FOUR! Super RANDOM!!! But...I've heard several times that I resemble Molly Mesnick (from the Bachelorette). Anyway, I saw this picture on IG and (especially) since it's blurry, thought I could really see some similarities. What do you think??? 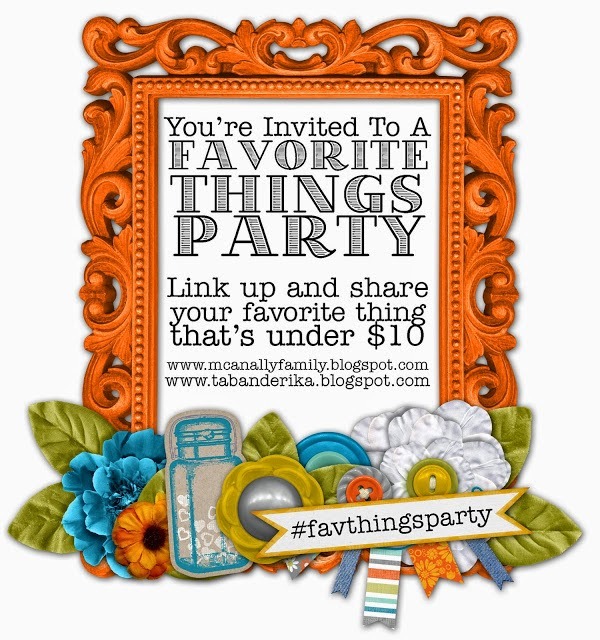 On Monday, Andrea and I will be hosting another Favorite Things Party!! It's so simple. We blog about one (or two or three) of our favorite things that's under $10 and link up! Hope you can join us!! Thanks for stopping by to see my randomness!!! Hope you have a GREAT weekend!! Goodness! So much for me to comment on!! I love the picture of your kids swimming, I love doing tennis camp with you, I love the fact that our girls (and your 1 year old) want to lay out :) and I love, love, love our girlfriends too! Happy Friday friend! Love all the random stuff.. Andolly mesnick, now that you say it it def see a resemblance!!! So glad I found your blog and made a friend in this process!!! The earrings,,,the white has become my staple...love love love. Happy Friday!!!!!! Love it that Ebby Lee is getting back into dance. It's so much fun! And you actually do resemble Molly...a lot haha. Thanks for sharing! That picture of Nix and EL in the pool.....Nix's smile looks like my smile in the picture I passed around of me at the dentist! :) And I've never thought you looked like MM, but you TOTALLY do in that picture! People are right!!!! I love all your randome things AND YOU!! Happy Friday!! You do look like Molly, but way cuter!! Looks like y'all had a great week! Love little ballerina Ebby Lee! Yes!! You DO look like Molly Mesnick!! Wow!! Def similarities!! What a fun summer week! !